What are I Ching horoscopes? An I Ching horoscope is calculated by a combination of lunar position, sign and date. By combining three astrological datapoints, the I Ching horoscope creates a sign-specific I Ching reading for each sign. For all intents and purposes, the I Ching Horoscopes should be treated like horoscopes, and not direct I Ching readings. The daily progression of the moon's phase is included in the calculation which resolves to an I Ching hexagram number specific to each zodiac sign for a 24 hour period. I Ching horoscopes are closer to horoscopes than they are to an I Ching reding. An I Ching horoscope isn't a direct I Ching reading. 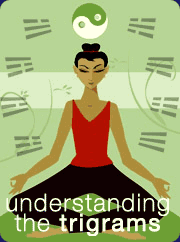 During an I Ching reading, the I Ching oracle is consulted directly and personally by the individual. The hexagrams created during a true I Ching reading are part of a personal divination process, and the insights gained are intended for you personally. An I Ching horoscope by contrast, is a hexagram derived by a calculation which takes three pieces of information: The astrological sign, the lunar position on a specific date, and the date of the horoscope. The result of the calculation is that one out of the sixty-four I Ching hexagrams corresponds with a zodiac sign each day. It is also possible for two zodiac signs to share the same I Ching hexagram on any given day. 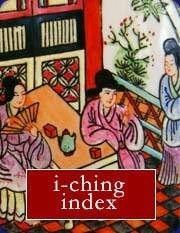 If you have a specific question about events in your life, it is advisable to consult the I Ching directly with a traditional reading. For questions about romance and relationships, you may also want to try iFate's free love I Ching reading. The I Ching Horoscope has a direct, overall meaning associated with each hexagram. But there are additional meanings hidden in each I Ching hexagram. Each I Ching hexagram composed of 6 lines. The top three lines are known as the "upper trigram" and the lower three lines are known as the the "lower trigram". These eight trigrams form the building blocks of every I Ching hexagram. Each trigram contains additional meanings which can add an extra dimension to your daily I Ching horoscope. Heaven: This trigram is the simplest and purest. Its three unbroken lines represent creative power strength and truth. It may also indicate male forces or fatherhood. Earth: This trigram consists of three broken lines. It represents yielding and devotion. It is commonly called "The receptive" force. It is a female energy and may indicate motherhood. Wind: Wind is a gentle or "soft pressure". It is subtle and often indirect, but it is consistent and difficult to resist. This trigram may indicate an eldest daughter. Water: Water is fluid and changing. It represents uncertainty and the unknown. This trigram is often an indication of danger or rapidly changing circumstances. It is also associated with the moon. Thunder: Thunder is powerful and filled with mystery. This trigram indicates shifts in power, new initiatives and changing dynamics. It may indicate an eldest son. Fire: The trigram of fire indicates a source of warmth and life-giving energy. It is useful and can be relied upon. This trigram may also reference a second daughter. Mountain: The trigram of the mountain is forever and eternal. It is unmovable and ever-present. It represents something that is fixed and stationary. It may also reference a third son. Lake: The trigram of the lake evokes images of serenity, joy and calm. The tranquility of the lake represents peace and happiness. It may also represent a thrd-born daughter. Each hexagram of the I Ching can be described by its formal title, or it can be described as a combination of two trigrams. For example if a daily I Ching horoscope consists of the hexagram for "Youthful Inexperience" (hexagram #4), we can see that it is composed of the trigrams of 'Mountain' and 'Water'. Hence, this hexagram can also be described as "Mountain over Water". (Or more appropriately in this case: "Mountain supported by water"). The symbolism of this hexagram becomes clear when we understand the meaning of the interplay between the upper and lower trigrams. In this example, we have something ancient and eternal, standing over something fluid and changing -- it is unstable at its base and can bring about ruin if not careful. (Just like an inexperienced youth). 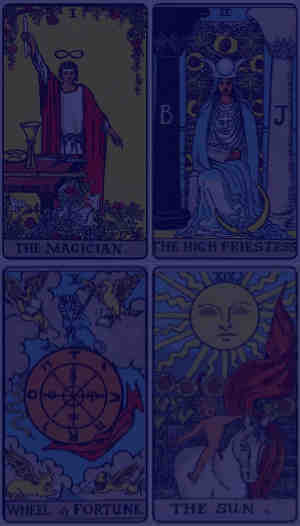 If you're a fan of Tarot cards, don't forget to try our popular, daily Tarot Horoscopes as well.